Our car will be unveiled in 11.02. Just watched the video again and it is Fw42 100% with the size of rear wing. And that rear packaging looks unusually tight! And if my eyes work well, sidepod finishing design is more like RBR last season. 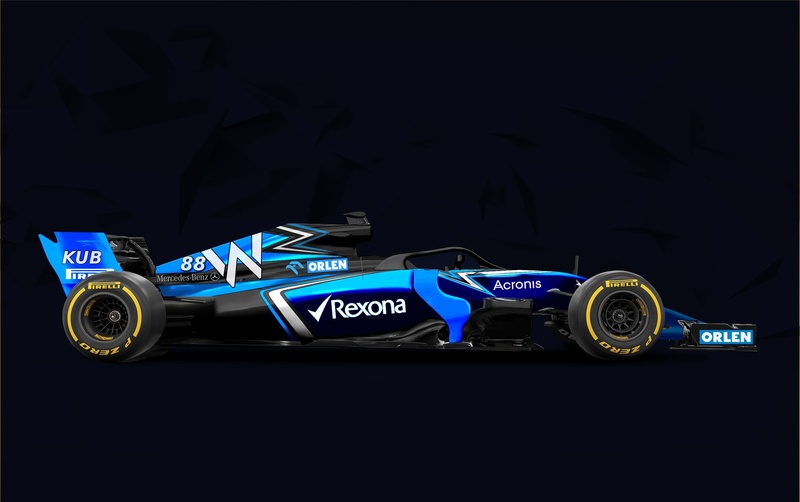 I think only livery will be unveiled on 11.02, not the new car. Some sources report that Williams will anounce a new title sponsor. This looks like McLaren-like nose, high rake, evolution of last years sidepods and an s-duct. Edited 1 time(s). Last edit at 07/02/2019 17:56 by ihme. It's announced as a livery launch. So no FW42 will be present at that time. Maybe a mock up front wing. Maybe we will release some renders of the new car just like the Haas did today. My productivity suffers in february. Where's your imagination? It looks like a car that can regain what it lost in the midfield. Edited 1 time(s). Last edit at 07/02/2019 23:07 by phatjack. Based on those screengrabs it certainly features the new front and rear wings. The front wing is not the same as the one tested mid season last year as that had 6 inboard elements and these do not. Rear wing us also the new huge ones and looks great. Aside from that, it doesn't actually look like the car has sidepods fit. If it does, they're tiny little things and definitely not the same wide undercut ones from last year. Aside from that, not much to take away from such crazy photos. Keen for Monday to see the new livery and hopefully a render of the new car. And from all signs we have, it may be actually pretty similar to the real livery. 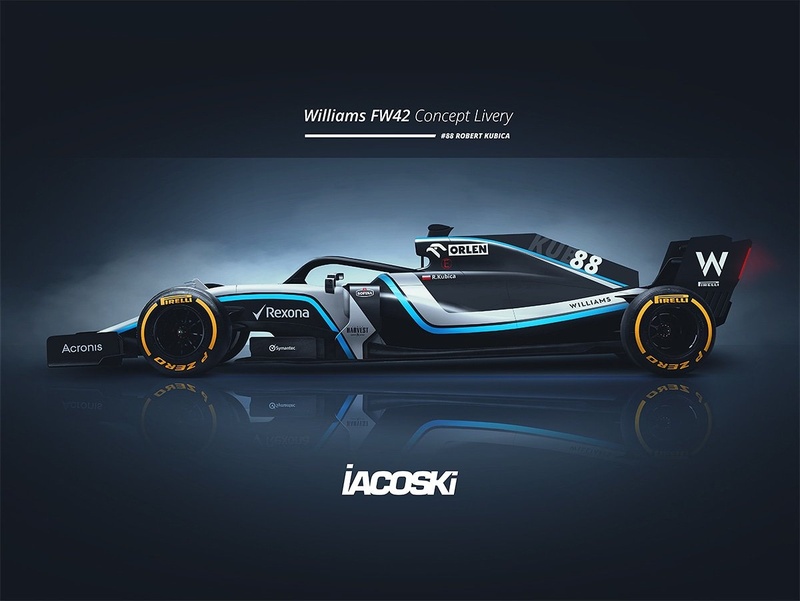 Definetely the most chance of all concept liveries I've seen. we have 4 days left for a shakedown???. Alas there is no good news. Between each other are very late with the Assembly of the car. Very at risk the filming day on Saturday, and even on the first day of testing. That,s my guess out he window then.